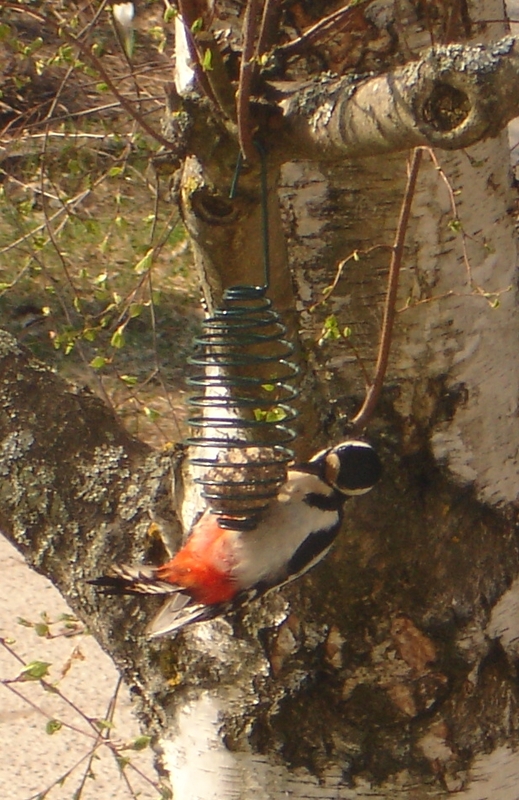 There was a woodpecker on the birch in front of our house this morning and Jocke managed to take a picture of the bird! That woodpecker comes often here. A lot of birds do, we fed them the whole winter and even now when the spring finally came. It was only last week that the trees started getting a bit green. Your woodpeckers look different from ours! Amazing…. ours are red on top. That is our most common kind of woodpecker. There are eight different kinds in Sweden, but I think I saw only two of them. There are some beautiful photos of our woodpeckers here, taken by Hasse Andersson.